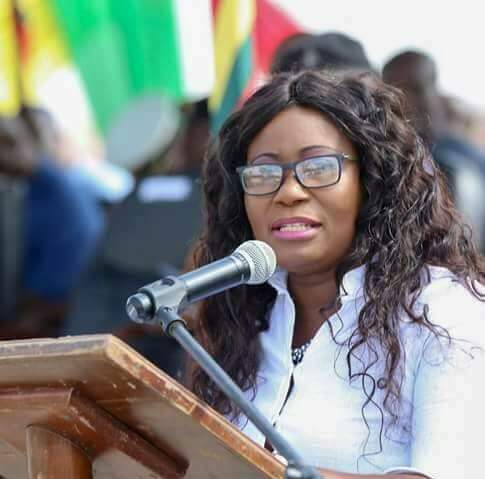 Kasapafmoline can authoritatively state that all is not well at the Ministry of Fisheries and Aquaculture as the sector Minister, Elizabeth Naa Afoley Quaye, who has earned the name Afoley ‘Chavez’ from some staff of the Ministry, is alleged to be hounding out Directors from their offices. In the early hours of Monday, the Ministry’s Director of Finance and Administration, Cecilia Ezuah, tasted the bitter side of Afoley ‘Chavez’ when the minister allegedly attacked her at her office in a bid to forcibly eject her. Had it not be the intervention of the sector’s deputy Minister, Kingsley Ato Cudjoe, who moved in to calm his boss down, something terrible would have been recorded. The Director in charge of Finance and Administration and Madam Afoley ‘Chavez’ have not been on good terms since 2017. It all started when the sector Minister allegedly awarded some contracts to some people and ordered the Director for Finance and Administration to pay them. Sources at the Ministry say, Madam Ezoah then requested for full disclosure of the contract documents as well a request to assess the said contracts to ascertain for herself whether it was carried out or not before authorizing payment. 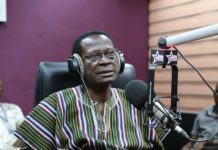 Her move, Kasapafmonline understands, infuriated ‘Afoley Chavez’ and immediately demanded that she (Madam Ezoah) be transferred from the Ministry. She backed her words with action and therefore wrote to the Head of the Civil Service to ensure that Madam Cecilia Ezuah is transferred from the Fisheries and Aquaculture ministry. Kasapafmonline is reliably informed that Madam Afoley ‘Chavez’s’ request was granted by the Civil Service who wrote a letter to the Director of Finance and Administration, informing her of her transfer to the Head Office of the Civil Service and to report to work not later than January 2, 2018. Madam Ezuah, our sources say, is on a two-year contract with the Ministry which expires in the fourth quarter of 2018. However, she was least perturbed about the development and requested for an extension of time to enable her prepare and handover smoothly. Because of this, she did not vacate her office on January 2, 2018. Our sources say in one of the meetings of Ministry this month, Madam Ezoah attended but an insider rang the sector Minister who was then in the United States of America to inform her about the development. Madam Afoley ‘Chavez’ who was not enthused about the development called his deputy for explanation before calming down. When she returned and reported to work on January 22, 2018, she walked into the office of the Director of Finance and Administration and demanded from her when she was quitting her office. Inside sources say, Madam Ezuah immediately replied that as soon as she packs all her things and smoothly handover, she will leave the office and report to work at the Head Office of the Civil Service Commission. When everyone thought that the matter had been put to rest, Madam Afoley ‘Chavez’ then bounced back on Monday, January 29, 2018 and tried to forcibly eject the Director of Finance and Administration from her office. 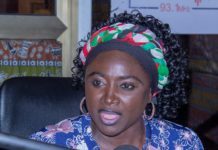 This nasty scene attracted some staff to the place including the deputy Minister, Kingsley Ato Cudjoe who again restrained her Minister from carrying out her actions. Madam Afoley ‘Chavez’ prior to leaving the office of the Director of Finance and Administration ordered her bodyguard to be on standby and ensure that Madam Ezoah packs all her things from the office. The bodyguard was further directed to lock up the office of the Director of Finance and Administration and return the keys to the Minister. After some time of struggle between the duo, the deputy Minister, Kingsley Ato Cudjoe moved in. Her antics ever since she assumed office as the political head of the ministry has been a worry to many which got to its lowest ebb on Monday, January 29, 2018.